An orange is vanished and attention is drawn to a small potted tree on stage. As the audience watches, oranges appear to be growing from the tree. The magician goes toward to the tree and picks an orange from the tree and peels off the skin to show it is real.. The perfect effect made bycombining mechanical and electronic components. The leaves of the tree and the oranges are much more realistic. The tree has with 15 oranges. 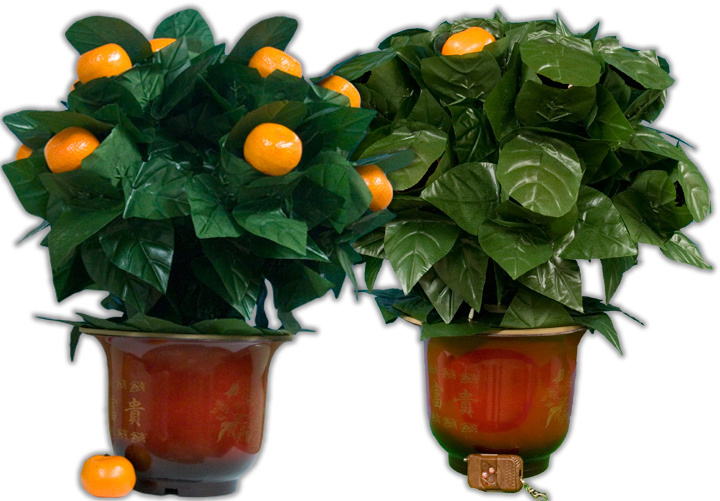 Whole products come with an orange tree, remote control and a removable orange.